host a Private Jump for only $149! You get 60 minutes of private jump time (30 minutes in each arena) for up to 20 kids; no party room time included. Extra kids are just $5 each! Reservations and a $50 non-refundable deposit are required. Note: This event is 1 hour of private jump time only and DOES NOT include party room/table time and therefore, food is not available for purchase and may not be brought in for this event. This event is intended for those who would like to book private jump time but do not need party room/table time for cake and/or food. For events including party room/table time please see our "kids birthday parties" page. Your group will have a completely private field trip, so the everyone is safe and secure; you can order food for all attendees, making it completely hassle-free. 30 minutes FREE with purchase of $3.25 per person meal deal (2 slices of 1 topping pizza and a drink per person), otherwise $50 for the 30 minutes. 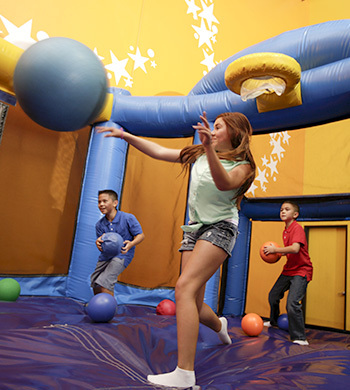 For weekEND (Sat/Sun) group events (non-birthday), please call 972.792.9663 and press option 0. 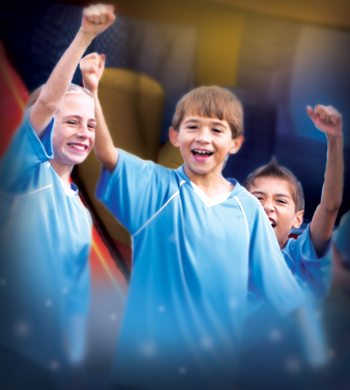 A $100 non-refundable deposit is required for field trips up to 40 attendees. A $200 non-refundable deposit is required for field trips +40 attendees. Once the event is booked we will send you an invoice and the deposit will be due 3 weeks from the date the tentative reservation is made. You may pay the deposit with Visa, MasterCard, Discover, or a company/organization check; no personal checks accepted. A deposit is required to reserve a time. 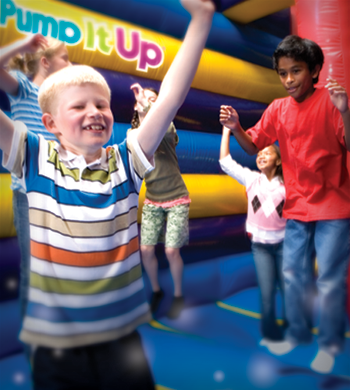 It’s time to move beyond the traditional team-building options and try something new and fun at Pump It Up.We are the perfect place to pump up the troops and get them working as a cohesive unit. You supply the facilitators and we supply the fun venue.You’ll get your own private arenas filled with giant inflatables and a private party room at the end. For only $350 you can host an awesomely private team building event for up to 40 people. You get a total of 2 hours, 80 minutes in our private arenas (40 minutes in each) and 40 minutes in the party room. Pizza and drinks can be added to the celebration and, of course like all other events at Pump It Up, all of this takes place in a PRIVATE, safe, clean, climate controlled environment! *To receive this special low price, Scout troops must wear their Scout uniforms and sports teams must wear their team shirts! A 4100 non-refundable deposit is required to reserve a time.